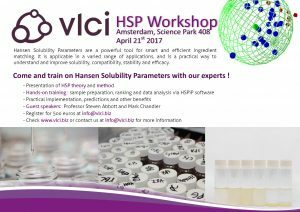 Excited to announce that VLCI is organizing HSP workshops! The first one will be held on April 21st 2017 at VLCI Amsterdam. Check the doc for more info, or ask us at info@vlci.biz, also for registration and full program.